Mark Twain once defined a literary classic as “a book which people praise but don’t read.” Fortunately, Joseph Malaby Dent, founder of J. M. Dent & Sons, never took that quip to heart. Over the course of his career he probably did more than any other single individual to inculcate a popular appreciation for the classics—his Everyman’s Library editions, provided excellent translations in durable bindings at extraordinarily cheap prices. Walk into almost any used bookshop in the English speaking world today and there is apt to be a whole section filled with the little volumes that throughout the first half of the twentieth century became synonymous with the literary life. Born in the old English village of Darlington, he was the tenth child of George Dent, a housepainter. As a youngster, he received elementary instruction at a local grammar school that emphasized little more than basic reading and writing skills. But by the time he was thirteen, he had already entered the workforce as an apprentice to a printer. Shortly thereafter, he turned to bookbinding. A voracious reader, he became especially enamoured with the classics—the ragged old volumes he was most likely called upon to rebind. In 1867, he moved to London, where he set up his own bookbinding shop. He quickly gained a reputation for fine craftsmanship; indeed, his customers frequently rued the fact that his fine leather bindings put to shame the unattractive Victorian typography of the sheets they bound. Encouraged by his rather elite clientel, Dent founded his publishing business in 1888. His first production, Charles Lamb's Essays of Elia, was edited by Augustine Birrell and illustrated by Herbert Railton, followed in 1889 by Goldsmith's Poems and Plays. 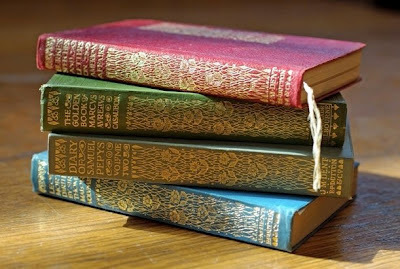 Works by Jane Austen, the Bronte sisters, Geoffrey Chaucer, Daniel Defoe, Maria Edgeworth, Henry Fielding, Samuel Johnson, Lord Tennyson, and W. B. Yeats followed between 1889 and 1894. All of these early editions were expensively produced in limited quantities on handmade paper. Nevertheless, they enjoyed remarkable following among the literary cognoscenti. In 1893, the bookseller Frederick Evans suggested that Dent publish a series of pocket volumes of William Shakespeare’s plays. Though there did not seem to be much demand for cheap editions of the classics—in fact, sales of the great books had suffered a serious and steady decline throughout the latter half of the Victorian Age—Dent decided to follow the inclinations of his own heart and mind. He established the Temple Shakespeare series in 1894. The series was an almost immediate success. Then in 1904, with years of experience publishing classics at popular prices, Dent began to flesh out his ambitious vision for the Everyman’s Library. It was to be a series of one thousand classics—practically the whole canon of Western Civilization’s great books—sold at an affordable price. Production began in 1906 and more than a hundred and fifty titles were issued by the end of that first year. Thus it was Dent and his passion for the classics that ensured great literature would be available to the general public in durable editions and at affordable prices.